You’ll obviously need to avoid breads and pastries – which dominate breakfasts in Spain and everywhere else – so what can you eat? At your hotel, request gluten-free bread or biscuits (although it’s always a good idea to pack something for breakfast for the first day or two – in case your hotel can’t provide any). You’ll be able to drizzle some wonderful olive oil and freshly grated tomato which is a great way to start the day. You might need to double-check with staff about crumb contamination in the tomato – or opt for the marmalade if it’s sealed and safe (it shouldn’t contain gluten). You’ll be able to enjoy manchego cheese and Spanish jamon (avoid the cheaper cold cuts such as cured ham and chorizo which may contain gluten). 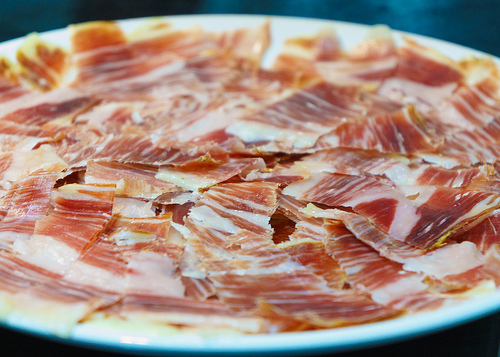 If you’re concerned about the jamon being served alongside the other cold cuts – ask for some fresh jamon to be served from the kitchen direct to your plate – rather than taking it from the buffet. In Spain, you won’t find a large range of breakfast cereals at your hotel buffet and it’s unlikely any will be gluten-free so if you rely on cereal in the morning, bring a box with you or buy some when you get here. Coffee will be safe. 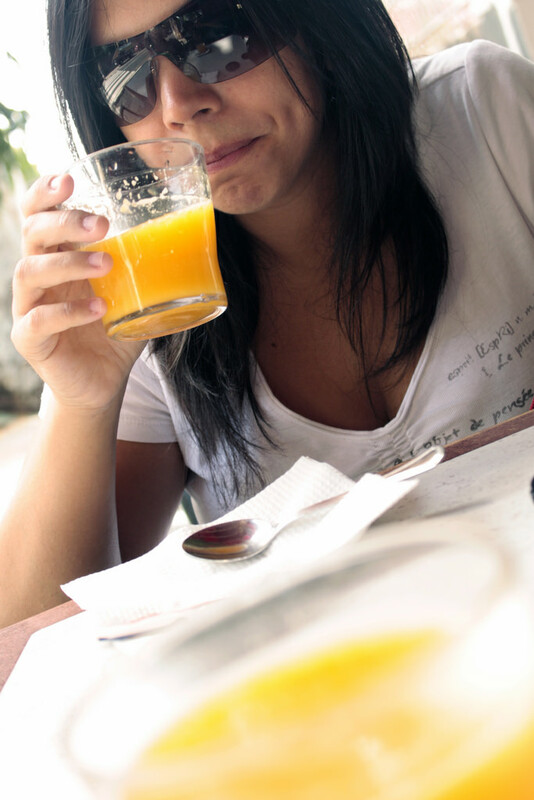 Non-coffee drinkers can have a soluble Nesquik (not Cola Cao which has gluten) and/or a freshly squeezed orange juice. Your greatest danger at breakfast is cross contamination at the buffet breakfast or out at a café. Try to consume sealed yoghurts, unpeeled fruit and sealed gluten-free breads/biscuits. Most quality hotels have these products. Traditional soups such as gazpacho have breadcrumbs and you’ll also find croutons are often added also. Unless clearly labelled as gluten-free, always be suspicious of soups referred to as ‘cremas’ or ‘sopas’. Take for example the ‘sopa de ajo’ or ‘sopa castellana’ – both of these feature bread heavily. ‘Caldos’ – which are simple home-cooked broths – contain fewer ingredients and being clear- they are a little easier to examine for gluten – but do ask what it’s made from. ‘Sopa de pescado’ meaning fish soup is rice-based and generally safe. Hearty pulse-based dishes such as chick pea stew and white-bean stew may contain chorizo so be ready to ask whether the chorizo is gluten-free. Uncooked lentil packets can sometimes contain grains of flour. Lentils must therefore be soaked and the grains of wheat removed before cooking (which is not always done in homes and kitchens). If you are concerned, avoid lentils. Tasty vegetable-based dishes such as ensaladilla rusa which is salad with egg, potato, olives, tuna and mayo (ask about the mayo), ensalada mixta (mixed salad), pisto (ratatouille), pimientos de padron (green peppers often served with fries) are all usually gluten free. Avoid fish in batter ‘rebozado’ or ‘a la romana’ such as hake in batter ‘merluza rebozada’ and ‘calamares a la romana’ meaning battered squid. Always ask for your fish to be prepared ‘a la plancha’ which means grilled. Fish/seafood such as ‘pulpo’ (octopus) will be fine – as will traditional fish stews such as ‘marmitako de bonito’ (tuna stew) and ‘bacalao al pil pil (salted cod with garlic) – but always double check no thickening agent has been added. When ordering grilled fish, always emphasise that the fish cannot be dusted in flour – this is often done to sardines and anchovies before they hit the grill. When given a choice of sauces to accompany seafood – ask for none. Even the simplest ‘a la marinera’ often served with mussels and steamed fish, includes flour and bread. Meat dishes a la plancha (meaning grilled meats) are safe – pechuga de pollo a la plancha (grilled chicken), bistec a la plancha (grilled steak) and ‘lacon a la gallega’ (slices of bacon seasoned with smoked paprika – although some people record having difficulty with pimenton) – but treat all other hams with suspicion eg lomo adobado a la plancha (grilled pork with paprika) unless the chef can confirm it is ‘sin-gluten’. Pay extra attention to meat stews such as rabo de toro (oxtail stew) that may have breadcrumbs or flour to thicken the sauce. Meatballs – albondigas – will nearly always be rolled in flour or have bread crumbs added to the mix. Burgers – hamburguesas – will also be prepared with breadcrumbs – so unless you are specifically told they are safe – don’t order them. As we said earlier, chorizo may contain gluten so try to avoid it unless you can request the packaging to confirm it is gluten-free. Chorizo is not only served as a tapa – it always crops up in other dishes such as ‘patatas a la riojana’ which is a potato, pepper and chorizo stew from La Rioja. Egg dishes such as tortilla, fried eggs, huevos rotos (which is a fried egg over chips) are usually gluten-free. Avoid egg based-dishes with béchamel in the description. And stay clear of egg-based dishes with cheap ham which will contain gluten. For this reason, avoid tortillas with ham – try the plain tortilla – called ‘tortilla normal’. Anything that is deep-fried could be prepared in a deep-fryer that also prepares breaded food so always ask if the oil is contamination free. Typical breaded items that are deep-fried include croquetas, tortilla de camaron (fish fritters), San Jacobo (breaded ham and cheese squares) and ‘patatas fritas’ (fries) or ‘patatas bravas’. If the kitchen fries whatever you are ordering in the same oil as these items, you are in trouble! Some breaded dishes are shallow-fried – so you’ll want to avoid ‘migas’ which are essentially breadcrumbs cooked with left-over meats and sweetbreads. Make sure what you are eating isn’t being cooked in the same frying pan as the ‘migas’ or the breaded chicken, ‘pollo empanado’ or breaded steak, ‘filete empanado’. If you want something sweet to end your meal, you can safely order a piece of fruit, a yoghurt, or the crème caramel known locally as ‘flan’ – which are the three go-to desserts in every restaurant. 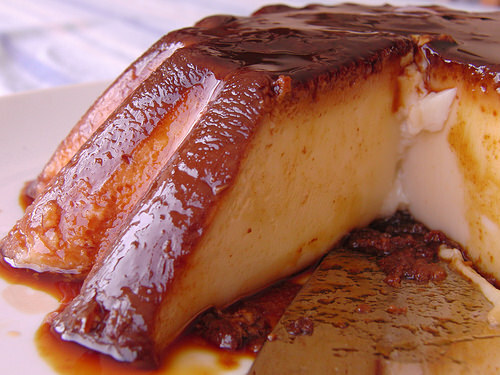 (Avoid ‘pudin’ which looks like a crème caramel but is made with bread.) Rice pudding is also safe. You might need to steer clear of ‘natillas’ (custard) which is often made using biscuits. Ask your waiter regarding the other items on the menu. Tapas or pintxos are nearly always served on bread so you need to avoid these but don’t worry – you still have ‘gildas‘ which are pickled tapas usually involving olives and roasted peppers and something with a bite. 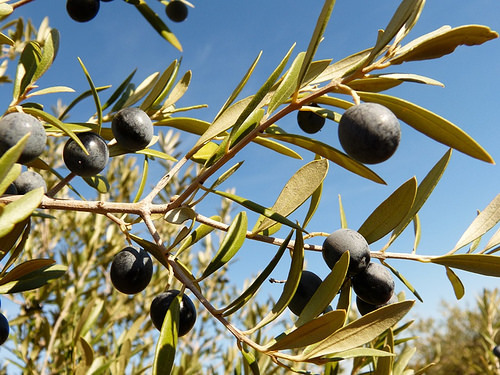 Olives are of course gluten-free and so too are pickled veg as long as malt vinegar hasn’t been used in the curing process. ‘Raciones’ are another way to do ‘tapas’ and these are freshly prepared shared platters of tapas such as meat or cheese boards including queso manchego, jamon iberico and lots more. If you want to have another safe cold cut, try ‘cecina’ which is a cured beef from Leon. 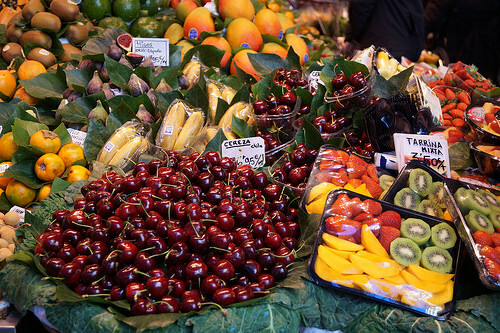 Fresh fruit is your safest option in Spain and we recommend everybody visits a fruit market to see just how wonderful the quality and variety is here. Of course, you’ll find the usual snacks such as crisps (chips) in Spain. Here they tend to be pretty plain but make sure they only contain potatoes (patatas) and oil (aceite). Churros are on the banned list but you can sometimes find a gluten-free hot chocolate which is a meal in itself. Chains such as Valor offer a ‘sin-gluten’ version of its hot chocolate in shops and supermarkets but the version sold in its cafes does contain gluten. Avoid cakes and tarts unless you are near a gluten-free bakery. One of our favourite gluten-free spots in Madrid is Celioso which now has four stores in the capital. In addition to amazing cakes, cupcakes and pastries (including Spanish seasonal staples such as roscon and torrijas), they also prepare sandwiches, salads and hot meals and the relaxed and modern décor makes it perfect for an adult brunch or a treat for the kids, when on a gluten free Spain trip. Dried nuts and olives are usually ok – but we always recommend you check the packaging beforehand. Ice-cream should be safe – but check the ingredients before biting in. Ice-cream parlours should be able to advise you regarding the presence of gluten in their homemade ice-creams and sorbets. Water, freshly squeezed juices and coffees are all 100% safe as long as staff aren’t handling bread at the same time – ask them to be careful if you see the waiting staff are handling drink and food (which is very common in Spain). Many bars are beginning to stock gluten-free beer (well – it has reduced levels of gluten). Wine is also considered very safe as is cider. Cava too. Many vermouths are also gluten-free – which is handy if you are enjoying an ‘aperitivo’ out. 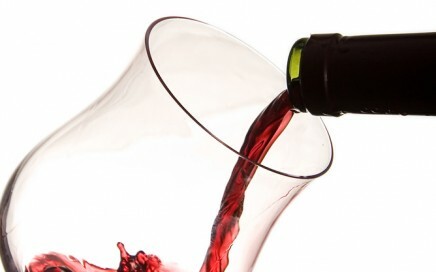 Ask to see the bottle label before your glass is poured! Anis drinks are also gluten free – and are usually consumed as a digestif after a meal in Spain. Avoid sangria and cocktails unless you can see how and where they are made – as the mixer ingredients may contain gluten. If you’d like to taste Spain’s great wines and visit some wine-regions, read our handy guide to the Best Wineries to Visit. If you want something a little different without alcohol, try ‘horchata‘ made from the chufa nut which is gluten-free and on offer during the Summer in many establishments. 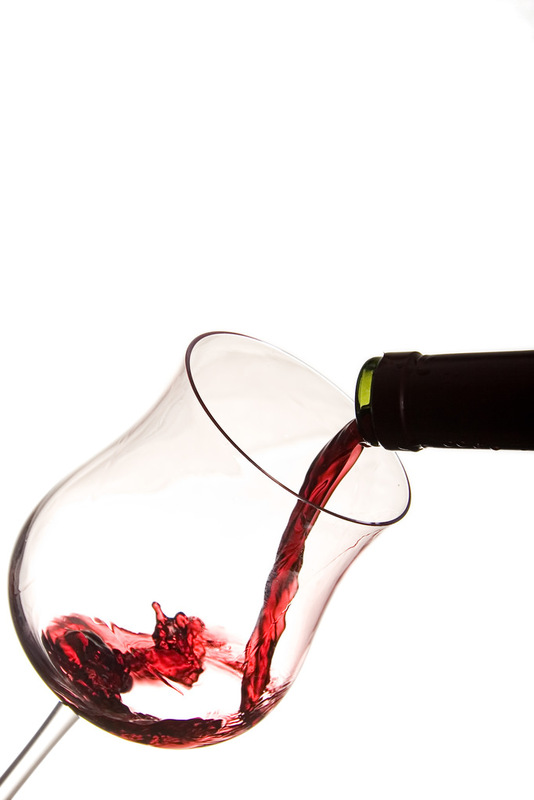 Mosto is a grape-juice and many of the main brands are gluten-free – ask before consuming. You can read more about Spain’s many non-alcoholic drinks here. Although we love to champion smaller independent businesses we have to admit that in Spain, the larger international and Spanish chains (Telepizza, McDonalds, 100 Mondatidos & VIPS) can sometimes offer more gluten-free options than smaller establishments – as they will have developed celiac-friendly menus. This is also the case with hotels – eg the Parador & Melia chains have celiac menus. (Check out our guide to the Most Impressive Paradores here!) 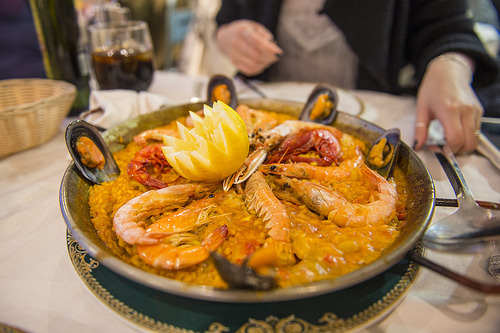 But there are lots of exceptions to this rule – for example – El Arrocal in Madrid’s Calle Segovia 13 – which isn’t 100% gluten free but is very experienced with gluten free. It always pays to tap in “gluten free” into your Phone and see what comes up – as more and more family-run establishments are learning more through their own friends and family. And we also recommend using ‘The Fork’ App and entering “gluten free” to see what restaurants are able to do ‘sin gluten’ locally – this is particularly handy in smaller secondary cities. And it’s a good idea to pick up a few gluten free items at supermarkets such as El Corte Ingles and Mercadona so you always have some ‘safe carbs’ to hand. You also find lots of smaller health food stores called ‘herbolarios’ where you’ll also find gluten free food items. If you are on holidays for more than just a few days, it might be worth considering self-catering or choosing an aparthotel – which will allow you enjoy all of Spain’s amazing ingredients – safe in the knowledge that your food is not contaminated. If you prefer to stay in hotels, we can communicate your requirements directly and save you having to do this. Also you can carry around our Gluten Free Spain Guide in Spanish which explains the dietary requirements for celiacs. You can show it to your waiter. Wherever you stay, we recommend you undertake a food tour – with a visit to a food market -and attend a cooking class to learn how to prepare some of the key dishes in Spain. We can obviously ensure that the chef will be very familiar with the products you can and can’t eat and will also be able to make great recommendations for places that are gluten free friendly in the city. Check out our post on Food Tours here – which we will tailor-make for your dietary requirements. We can also arrange for visits to wineries and food producers such as a cheesemaker or an olive oil producer – and will ensure you have gluten free bread for your tasting with no risk of cross-contamination. Read more here about Agri-Tours. ¿Este plato tiene harina, pan o migas de pan? = Does this dish contain flour, bread or breadcrumbs? ¿Podria tener mucho cuidado en la cocina y alejar mi plato de pan y productos con gluten? = Could you please take great care in the kitchen to keep my plate/dish away from products containing gluten? ¿Puede cortar la tortilla con un cuchillo distinto? 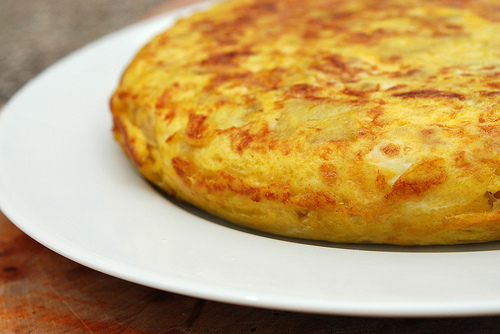 = Could you slice the tortilla with a different knife? 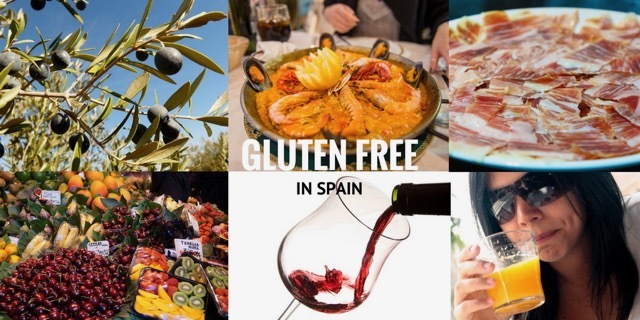 We hope this helps you enjoy a gluten free Spain trip! And other dietary requirements to consider? Check out our guide to Eating out as a Vegan or Vegetarian in Spain. Posted in Food & Drink, Getting Around, Useful Information and tagged barley free, breadcrumbs, celiac, coeliac, contamination, flour, gluten allergy, gluten intolerance, gluten-free, oat free, rye free, wheat free.